I absolutely love animals, especially dogs, hence this is why I believe this is the perfect role for me! 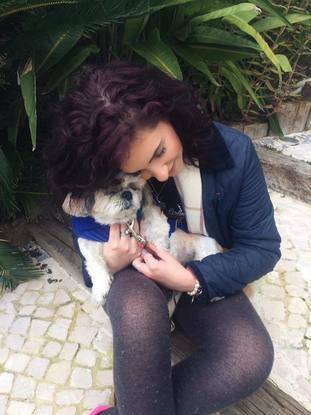 I have a dog (13 y/o shih-tzu) myself (that lives in my family home abroad) hence I am familar with all the usual daily care that goes into looking after and caring for a dog. I have looked after and walked friends dogs as favours whenever the opportunity arose back home and I enjoy it very much; I love spending time with dogs. I am a recent University Graduate and would love to do a role/ job that I have a vocation for, and dogs is definetly that! I am the type of person that gets very excited whenever they see a dog in public and its an even bigger plus point if I get the chance to cuddle or stroke it! Further, dogs love me too! Hence all the above details my motivation to be a pet sitter. When I was younger I did dog handling classes over several summers and learnt how to properly walk and handle dogs; even ones that were not mine (I was even going to handle at crufts at one point). I definetly have more experience with handling small to medium dogs since those were the size of dogs that came to the classes and are also the type of dogs I prefer. However, I do believe that no matter what experience you have, first and foremost, you have to love dogs and their company to be a successful dog walker, and in turn, the dogs will be happy too! I have a natural affinity to dogs and am a dog lover. 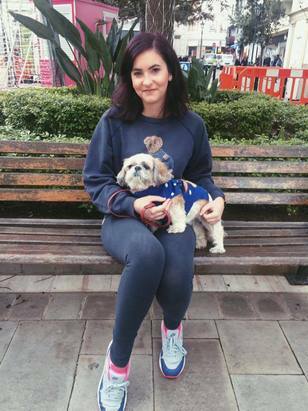 I have a dog myself at back home where I am originally from in Gibraltar; a 13 year old female shih-tzu and and miss her so; she is definetly my soul mate in dog form. She does not live with me in London. Because I miss my dog, and because I love being in the company of dogs anyway, I welcome any opportunity to dog walk, dog sit, care for, look after and play with dogs. If you enjoy dogs company (like myself), the dogs will enjoy it too! I look forward to keeping your dog company, playing with them, walking them and assisting to their needs; basically everything I am used to doing with my dog!